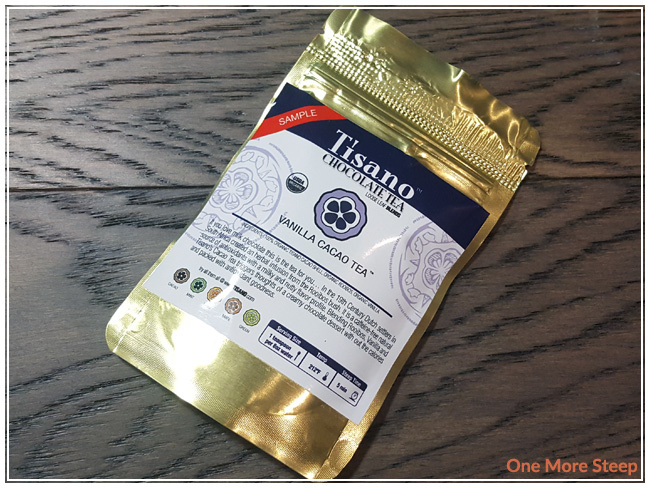 Tisano has provided me with Vanilla Cacao Tea for the purposes of providing an honest review. Tisano’s Vanilla Cacao Tea smelled absolutely heavenly as soon as I opened up the packaging. The smell of this tisane is primarily chocolate with a hint of vanilla. I don’t smell the rooibos at all, which isn’t a bad thing for me because I typically don’t enjoy rooibos infusions. The chocolate aroma reminds me of hot chocolate. I enjoy that Tisano’s packaging is resealable. 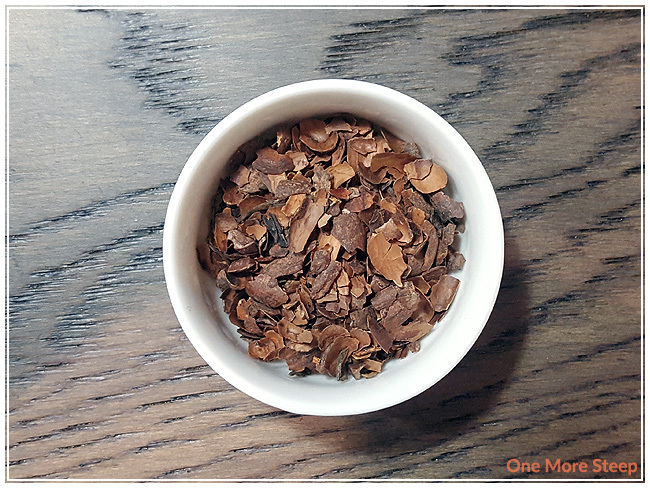 Vanilla Cacao Tea consists of cacao shells, organic rooibos, and organic vanilla. Tisano recommends steeping Vanilla Cacao Tea in 212°F (100°C) water for 5 minutes. I steeped Vanilla Cacao Tea for an initial steep of 5 minutes. Vanilla Cacao Tea steeps to a bright golden yellow after the initial steep time of 5 minutes. The aroma that wafts up from the steeped infusion is malt chocolate and a hint of vanilla – I don’t smell the rooibos at all (another bonus!). 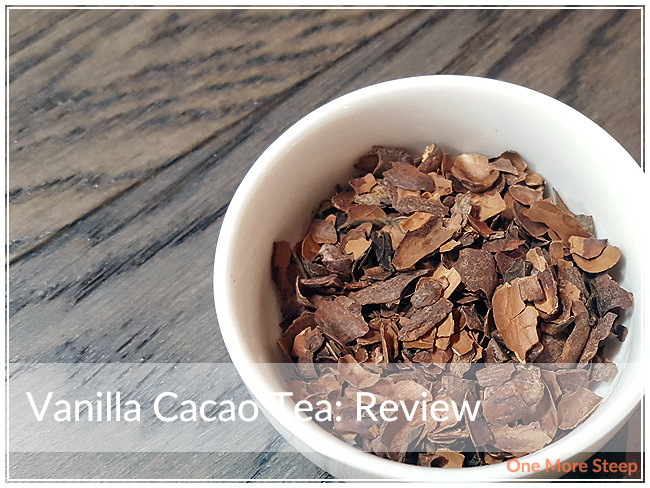 I found that the taste of Vanilla Cacao Tea was primarily malt chocolate (if you’ve ever had Milo – a malt chocolate drink powder – you’ll know what I’m referring to), with a touch of bitterness that is found in dark chocolate, and there’s the vanilla flavours at the end of each sip. I did wind up adding a touch of milk to the infusion, and found that it helped to temper the bitterness from the chocolate and make it more like a hot chocolate drink. 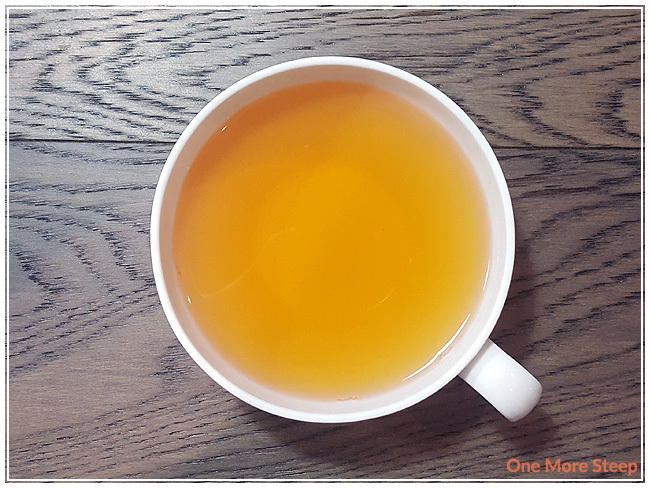 I don’t think I tasted the rooibos at all – since I couldn’t smell it or taste it, I’m not sure if it really added anything to the blend by being in it. I resteeped Vanilla Cacao Tea once, and found that the flavour was quite watery compared to the first steep. I would say that Vanilla Cacao Tea is only good for one steep. I liked Tisano’s Vanilla Cacao Tea. I really enjoyed the malt chocolate flavour with the vanilla notes. It tastes very much like a watery hot chocolate until I added some milk to help temper the bitterness from the cacao shells. I’m not sure if there was a purpose of the rooibos as I couldn’t smell or taste it. 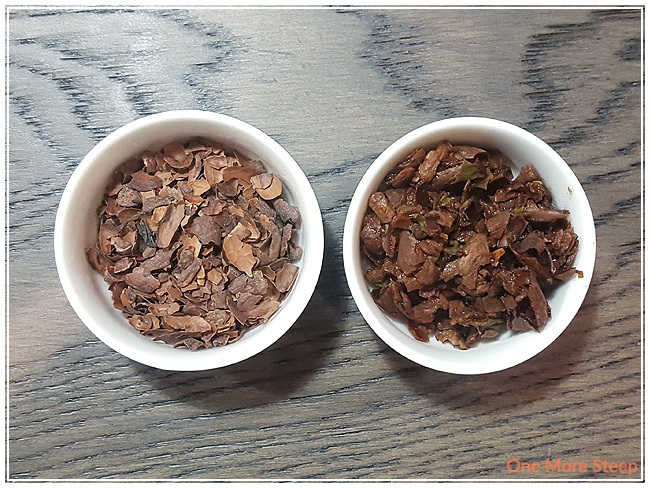 I really enjoyed the vanilla notes in this blend, and it makes the cacao infusion that much richer.